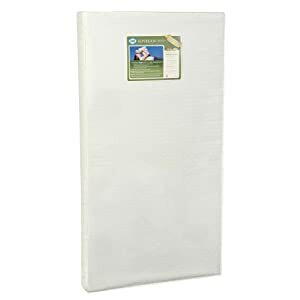 The highly-rated Sealy Soybean Foam-Core crib mattress is currently just $100 on Amazon right now. That's 44% off the list price, and you'll get free shipping, too! I know that soybeans are a renewable resource, so this is a nice eco-friendly option for a mattress. Are there any other benefits to buying a crib mattress made from soy?